Once again, Stacey is hosting a sewalong with terrific prizes over at her blog. This Month’s pattern is the Little Heartbreaker Pants. 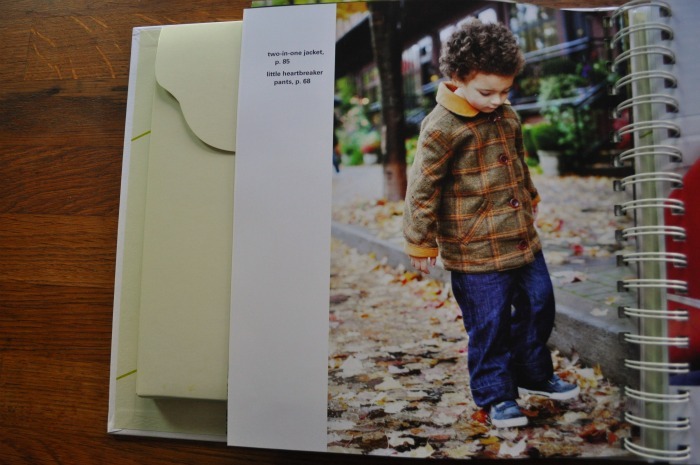 I’ve already seen a few adorable short versions over in the Sewalong Flickr group and the Book Flickr Group, so don’t let the long pants put you off from making them in July! Stacey has done it again, and chosen a challenging project for this month’s sewalong. Oh How I love The Henry Shirt! 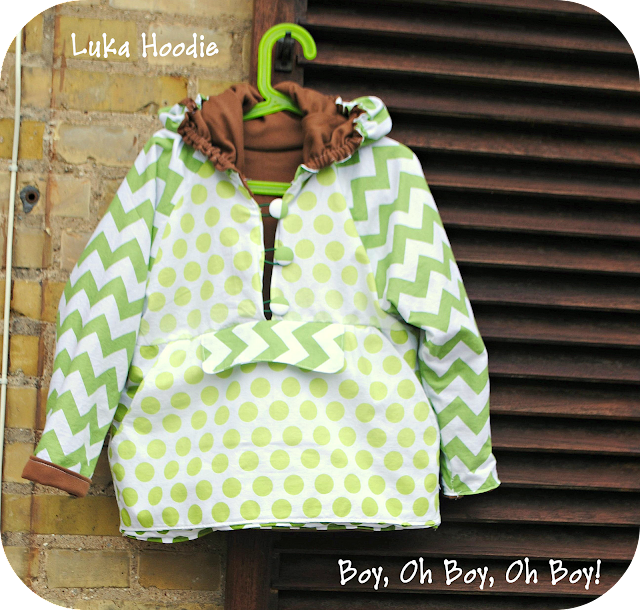 It’s a great opportunity to practice some detail sewing, and it’s also fun for using pops of color. Some fitting notes on this one: The finished project is wide. It’s intended to be. I wanted a shirt that could be worn for 3 seasons: over a long-sleeved shirt for winter, on its own for spring, or open over a tank top for a really 70’s summer look. If you prefer a trimmer-fitting shirt, make the next size down and simply add length to the hem edge of the shirt. Also: The pockets are close to the hem edge, but you can sew them at whatever height you like, so please – modify to your taste by simply placing the pockets higher before sewing the side seams. Of course, I make mine as written, so that’s my favorite option! The Henry shirt pattern comes in sizes from 2/3 to 6/7. It requires 7/8 yard to 1 1/8 yard each of two fabrics to make the sizes specified. Notions needed: thread, 5 snaps or buttons, point ner, fusible lightweight interfacing, double-sided basting tape. Over on Boy, oh boy, oh boy Stacey has chosen the Treasure Pocket Pants for her April Sew-along. There are prizes and cameraderie, and sew-along fun to be had. It’s not too late to join in. 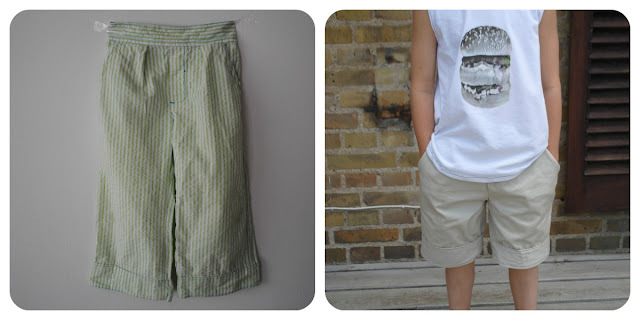 These pants were built for boys who love to collect treasures! Their pockets were specifically designed to hold small, precious objects found while adventuring. 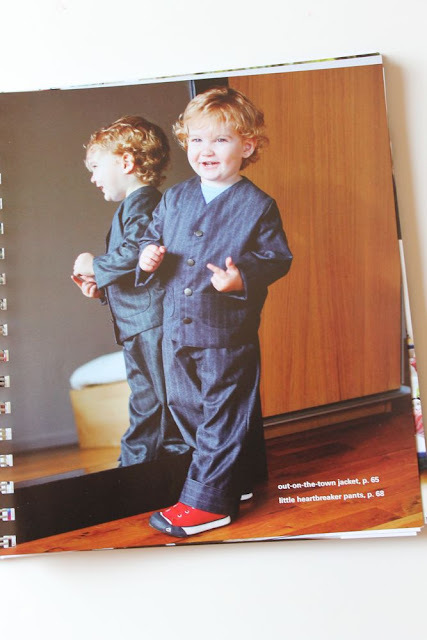 The pattern is written for sizes 18 months to 6/7. You will need just over a yard of fabric (total) for the smallest size, and just under two yards for the largest size. Do you have any photos to share? 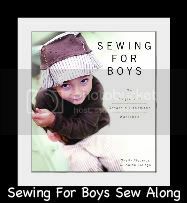 Come on over to the Sewing for Boys (the BOOK) Flickr Pool and show off! I’m so excited that Stacey has selected the Easy Linen Shirt as her pattern for the March sew-along. Don’t forget to share your beautiful creations in the Flickr Group. Shelly and I love to see what you’ve made for your little ones!